Chris Granger, Cool Davis Executive Director is hoping to see many partner organizations as well as community members turn out for a robust discussion of Davis’ new energy provider Valley Clean Energy (VCE) at their quarterly Coalition meeting next Wednesday May 16th from 4:30 – 6:00 p.m. at the Bicycle Hall of Fame – BHoF (3rd & B – Central Park). 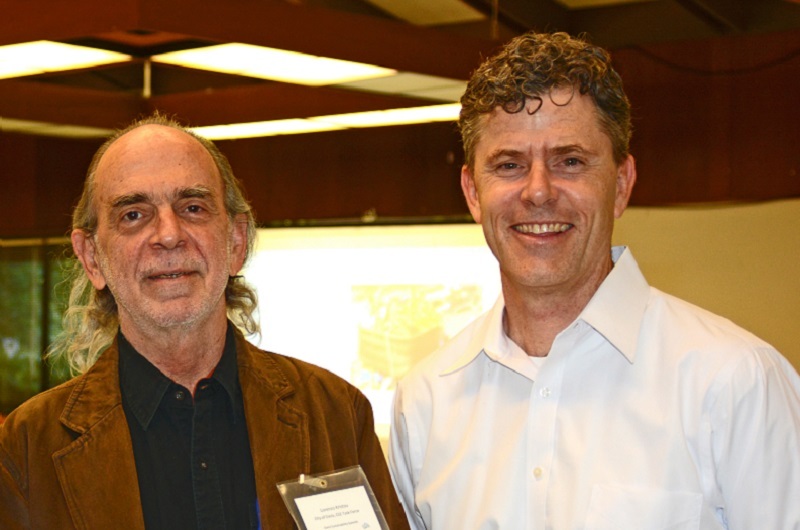 Mitch Sears and Lorenzo Kristov at 2016 Davis Sustainability Summit. Photo credit Yvonne Hunter. Davis City Councilmember Lucas Frerichs, who currently serves as Chair of VCE will speak along with VCE Advisory Committee members Gerry Braun & Lorenzo Kristov as well as VCE Interim General Manager, Mitch Sears. After their presentation the program sets aside extensive time for Q&A. Come with your questions! They will be prepared to talk to both residents as well as representatives of organizations. Valley Clean Energy is the joint powers authority that will serve electricity customers within the cities of Woodland, Davis, and unincorporated areas of Yolo County starting June 2018. VCE offers choice in the electric utility market. It’s mission is to deliver cost-competitive clean electricity, product choice, price stability, energy efficiency, and greenhouse gas emission reductions. VCE is governed by a six-member Board of Directors, two each from the Woodland City Council, Davis City Council, and the Yolo County Board of Supervisors. Cool Davis is most interested in how VCE will empower local control of electricity procurement decisions to more quickly reduce the carbon footprint associated with local electricity service, and help support growth of local renewables. 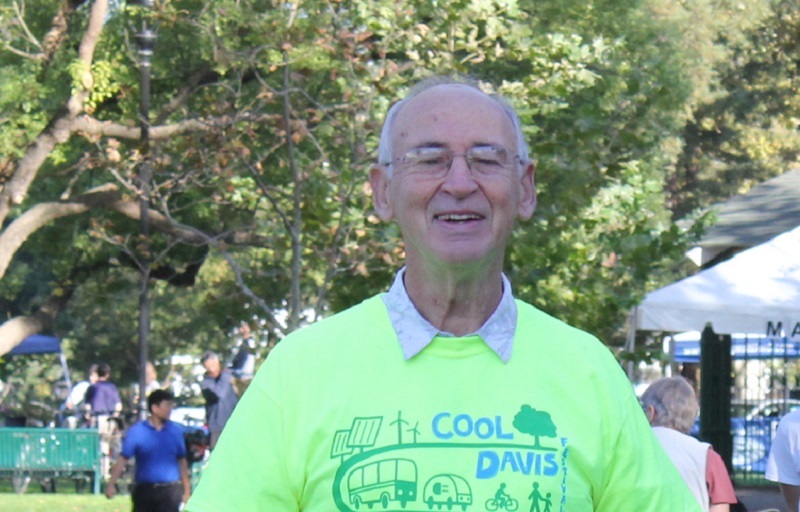 Gerry Braun in Cool Davis T-shirt volunteering at Cool Davis Festival October 2014. Courtesy photo.